(Tuesday, July 10, 2018) New Philadelphia, Ohio – At the beginning of the 2018-2019 school year, BCC will begin a chapter of the Drug-Free Clubs of America program. This program will aim to promote healthy living and a drug-free lifestyle for teenagers. Public Relations Coordinator Shyanne Carroll says Buckeye Career Center is still searching for assistance from local businesses and residents to help with costs of the new drug-free program. Once students are enrolled in the program they will be drug tested periodically throughout the school year. Carroll stresses to students that drugs will not help you be successful in life. A one-time tax-deductible contribution of any amount is also available. There will be different levels of donations offered, as well as a discount card for the students as an incentive. 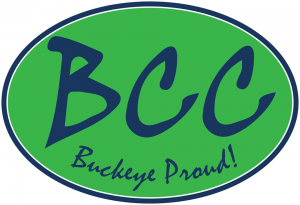 Those interested in donating to Buckeye Career Center’s chapter should contact Shyanne Carroll at 330-339-2288, ext 1241.